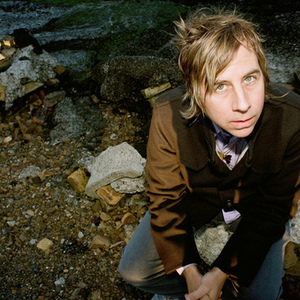 John Vanderslice (born May 22, 1967 in Gainesville, Florida) is an American musician, formerly of MK Ultra but now performing with his own band. After mk Ultra broke up in 1999, Vanderslice wasted little time building a solo reputation. In 2000, he gained national media attention over his single Bill Gates Must Die after concocting an elaborate hoax in which Microsoft supposedly threatened legal action over supposed trademark violations (the disc had a similar etching to a Windows installation disc). After mk Ultra broke up in 1999, Vanderslice wasted little time building a solo reputation. In 2000, he gained national media attention over his single Bill Gates Must Die after concocting an elaborate hoax in which Microsoft supposedly threatened legal action over supposed trademark violations (the disc had a similar etching to a Windows installation disc). Subsequent albums, Time Travel is Lonely, Life and Death of an American Fourtracker, Cellar Door, Pixel Revolt and Emerald City have gained critical acclaim for their melodic quality and sophisticated narrative lyrical content. Vanderslice has spent much of the last few years on tour across North America, Europe, and Japan. Vanderslice also founded a recording studio in 1997 called Tiny Telephone. Located in the Mission District of San Francisco, Tiny Telephone has carved out a niche as the last all-analog recording studio in the Bay Area, and has a policy of setting recording rates under market prices. Bands who have used Vanderslice's studio include Beulah, Death Cab for Cutie, Okkervil River and Spoon. Vanderslice is a proponent of using analog instruments and recording equipment to produce a richer, more raw sound which he has sometimes called "dirty hi-fi". He has collaborated closely with Scott Solter in the production of his recent albums, with Pixel Revolt being notably shaped by Solter. Vanderslice was a contributing producer on the Spoon album, Gimme Fiction, and has collaborated and toured with The Mountain Goats. He is strongly influenced by film and is a fan of David Lynch, whose work is referenced in his song "Promising Actress". His declared musical influences are diverse, ranging from Neutral Milk Hotel to Public Enemy. He is an avid photography hobbyist. He has incorporated the poetry of William Blake and Robert Lowell into his music. Several songs on the album Pixel Revolt referenced the 9/11 attacks and the subsequent global political situation. This is also true of Vanderslice's most recent album, Emerald City.